Welcome to B.K. Martin, where phone calls get returned, schedules are met, budgets are adhered to and corners don't get cut. We are a high-quality Class "A" contractor and remodeler working in the Richmond area for more than 20 years. BK Martin Construction was started in 1987 and was founded on the principles of hard work, giving your best, being a good steward of resources and caring for others without expecting anything in return. BK Martin specializes in many areas of home improvement. We tackle additions, bathrooms, kitchens, attics, basements, outdoor spaces, and more! We also handle our own drafting and site planning work. BK Martin has created extraordinary spaces for our clients all over the Richmond area. We're your go-to contractor for projects from fully gutted kitchen remodels to simple front door replacement. BK Martin on "Fix it & Finish it"
B.K. 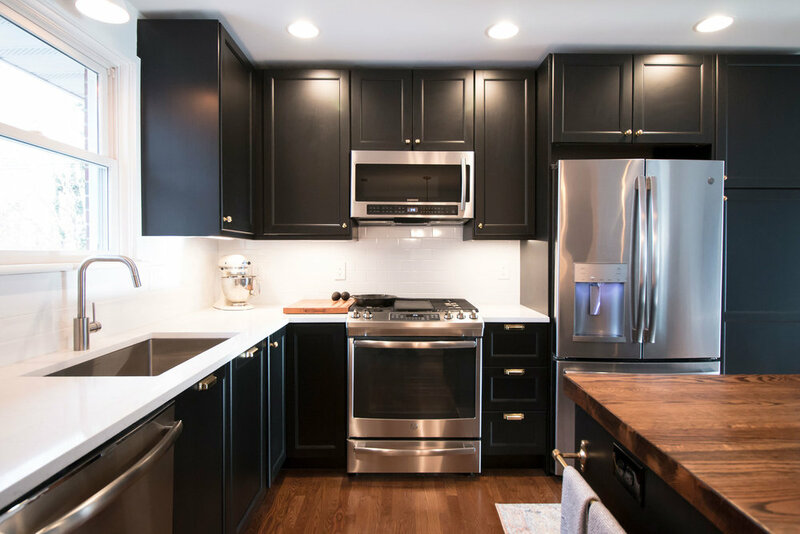 Martin Construction recently teamed up with the popular home improvement show "Fix It & Finish It" to create a dream living space for a young Richmond family. “We love the way our house turned out — everything looks great! Also thanks for the fall flowers that arrived just in time for Halloween! Let's talk soon about the pocket doors —Thank you!" This kitchen project was a two month project that consisted of fully gutting the previous kitchen, taking down load-bearing walls, installing structural beams, and all finish work.